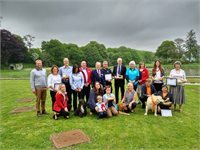 Pembrokeshire’s Dog Friendly businesses have been recognised and celebrated in the county’s first Dog Friendly Tourism Awards held on the Slebech Park Estate. 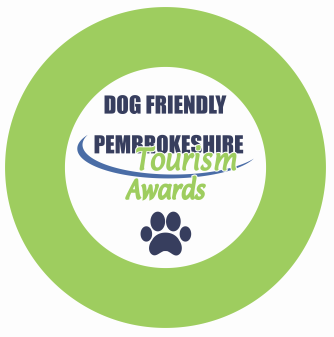 The Dog Friendly Awards initiative was created by Pembrokeshire Tourism and Burns Pet Nutrition and are designed to champion responsible pet ownership, whilst recognising the efforts of outstanding local businesses throughout the county who help to make Pembrokeshire a dog friendly destination for visitors. Following the launch of the Awards in January, over 400 entries were received across the six categories giving the judges from the Burns By Your Side Reading Dog Teams plenty to consider! The award for Best Dog Friendly Beach went to Amroth. With plenty of sand to play on, rock pools to investigate and waste bins easily accessible, the judges felt this was a great place to enjoy some seaside fun. The judges in the award for Best Dog Friendly Town or Village looked for evidence of the whole town or village being a welcoming venue for four-legged visitors and their owners! In this closely fought category Saundersfoot came out on top over the twin towns of Fishguard & Goodwick and Amroth. The Best Dog Friendly Day Out award took into consideration factors that enabled everyone to enjoy a great day out in Pembrokeshire’s attractions. With so many great places to visit and explore the judges had their work cut out to pick just one winner, before ultimately deciding on Carew Castle as their top choice. 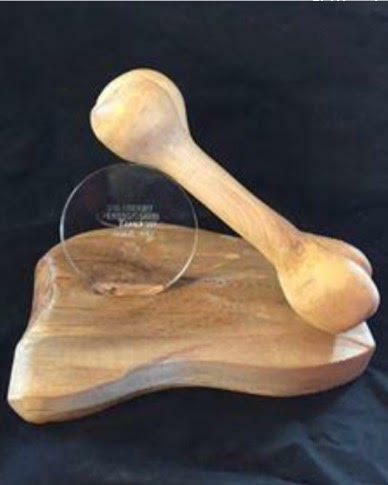 The Best Dog Friendly Pub, Restaurant or Café category judges were keen to find a warm welcome for all visitors along with provision for those not using cutlery to eat! Having visited all three finalists including the Brewery Inn, Cosheston and the Hope Inn, Pembroke, the winner was named as the Temple Bar in Amroth. For the Best Dog Friendly Campsite or Caravan Park award judges looked at how venues were able to go the extra mile to make pets welcome and safe whilst on holiday. Coastal Wood Camping was the winning campsite who offer plenty of space for all to enjoy their holiday, and great dog friendly facilities. For those not so keen on camping, the Best Dog Friendly Holiday Accommodation award looked at hotels, guesthouses and B&B providers throughout Pembrokeshire the judges were keen to find providers who were clearly committed to welcoming dogs to their premises. Cwm Connell Coastal Cottages beat off tough competition from Fron Fawr Holiday Cottages and Coastal Wood Holidays to win in this category. John Burns of Burns Pet Nutrition explained how much he and the Burns By Your Side Reading Dogs Team had enjoyed the judging saying, “It’s been great to see first-hand the incredible work that these businesses are doing to make Pembrokeshire a dog friendly destination”. Echoing this, Dennis O’Connor, Tourism Liaison Manager at Pembrokeshire Tourism said, “Pembrokeshire is a very special place for visitors and we are delighted to have been able to recognise the work of dog friendly businesses throughout the county as well as our fantastic towns and beaches. 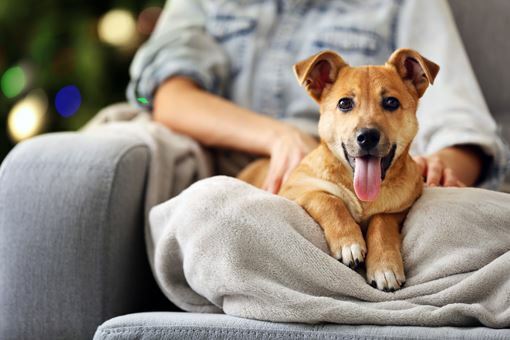 Increasingly visitors are looking for dog friendly destinations to avoid the distress of leaving their pets in kennels, so the wonderful coast and countryside that Pembrokeshire offers is particularly appealing”.